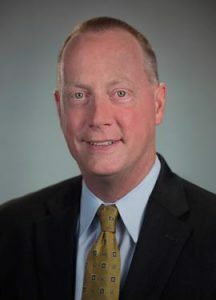 Blue Cross Blue Shield of North Carolina welcomed a new President and CEO to the company in December 2017. While Dr. Patrick Conway has a unique background coming from the Center of Medicare and Medicaid Services, his continued role as a practicing pediatrician provides a perspective that is unlike many others serving as the lead executive of a major health insurance carrier. Dr. Conway’s list of accomplishments prior to taking over as CEO at Blue Cross NC is nothing short of impressive. The various positions he’s held in health care contribute to the various perspectives he’s able to provide. These experiences have prepared him for the often difficult discussions surrounding health care and health insurance. Above many of these experiences, is his role as a practicing pediatrician. This ongoing practice is something that allows him to see health care from a perspective most other Chief Executives know little about. It’s no secret that the relationship between healthcare providers and health insurance companies is sometimes considered very disconnected. The two parties are considered to have separate interests. These separate interests can easily result in arrangements that damage the care needed by the members and patients. The consumers are frequently left feeling powerless and stuck in the middle. Dr. Conway’s experiences and ongoing direct interaction with patients is a dynamic that could provide some different perspective. He recently wrote a blog about the being a practicing MD while also leading a major health insurance company. It’s already becoming clear that as the new leader of BCBSNC, he brings a new vision to the company and health care in North Carolina. For now, please join us in welcoming Dr. Patrick Conway and watching as he begins his work in the continued effort of improving health care in North Carolina.